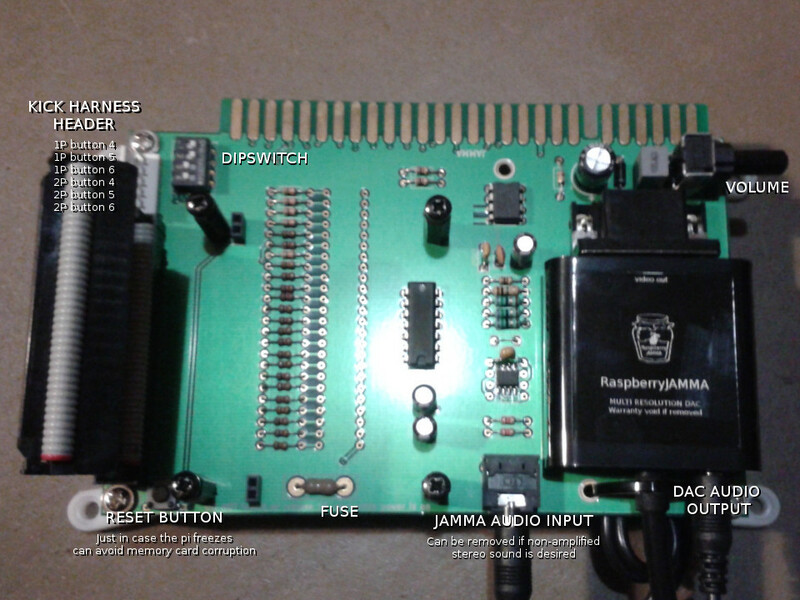 No soldering is required to get the RaspberryJAMMA up and running with your RPi. Just plug and play. 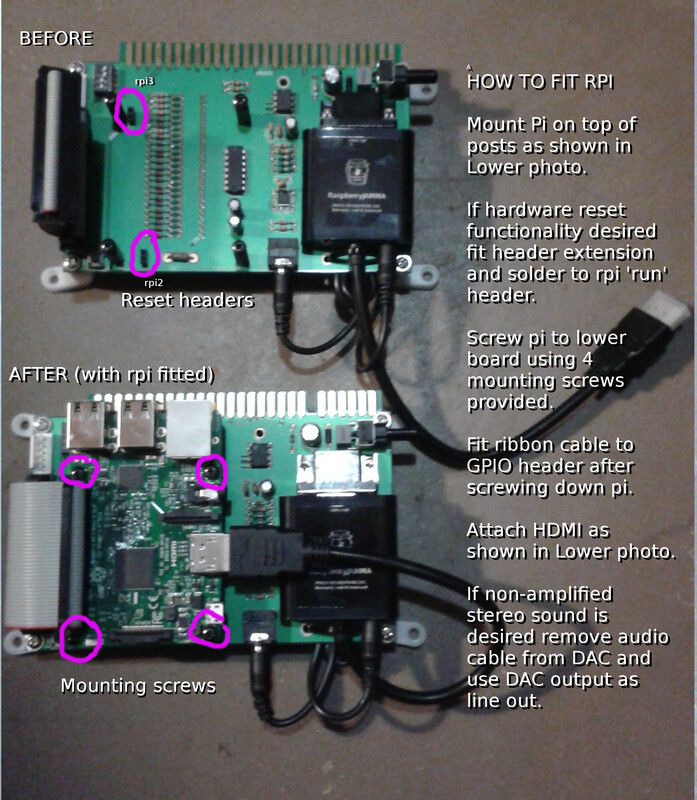 Use this visual guide to mount your RPi to the RaspberryJAMMA board. 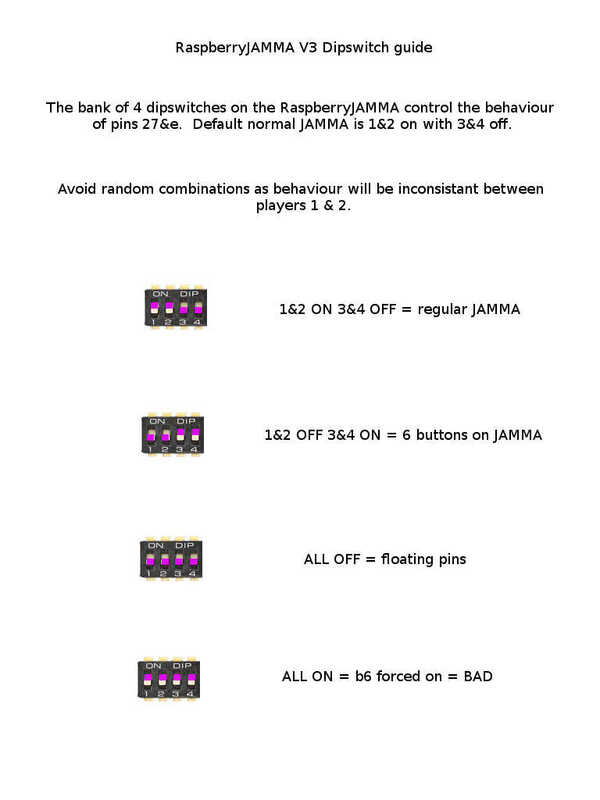 Here is the guide to the dip switches on the RaspberryJAMMA v3.